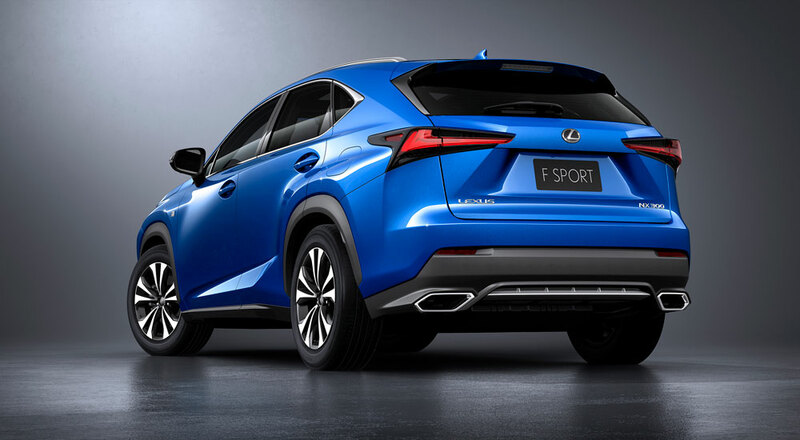 Lexus has debuted the updated 2018 NX & NX F SPORT at the Shanghai Motor Show today — let’s jump straight to the press release. 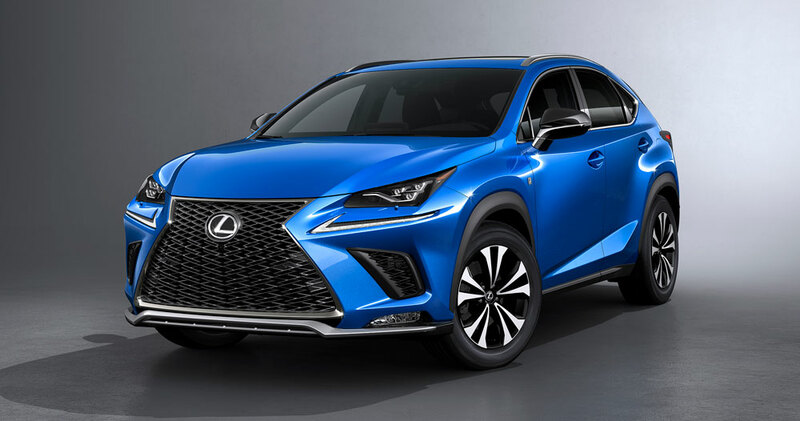 When the Lexus NX was introduced in 2014, it offered crossover-luxury-vehicle customers exactly what they had long been desiring: a stylish and spacious compact with exciting driving dynamics and excellent fuel efficiency. 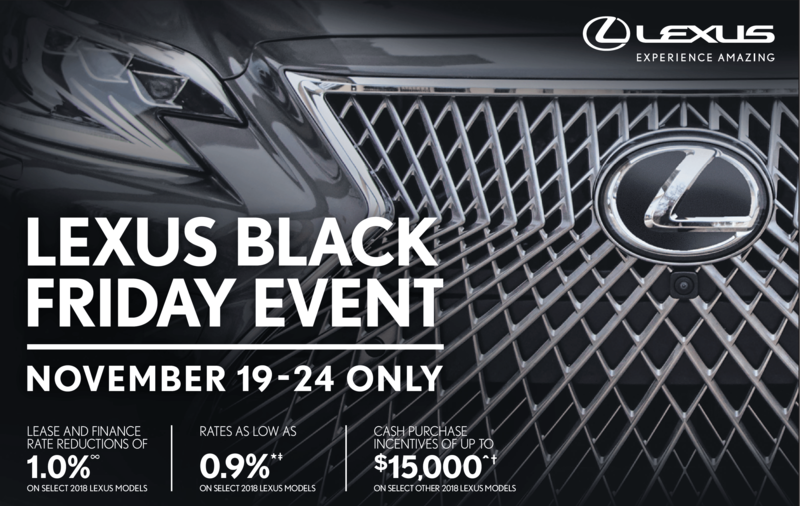 But not even Lexus could have predicted that it would become a worldwide sensation, outperforming sales forecasts in every one of its markets around the world—including North America, Europe and China. For the 2018 model, Lexus intends to keep the proverbial wheel rolling with a refreshed model introduced today at the Shanghai Motor Show. 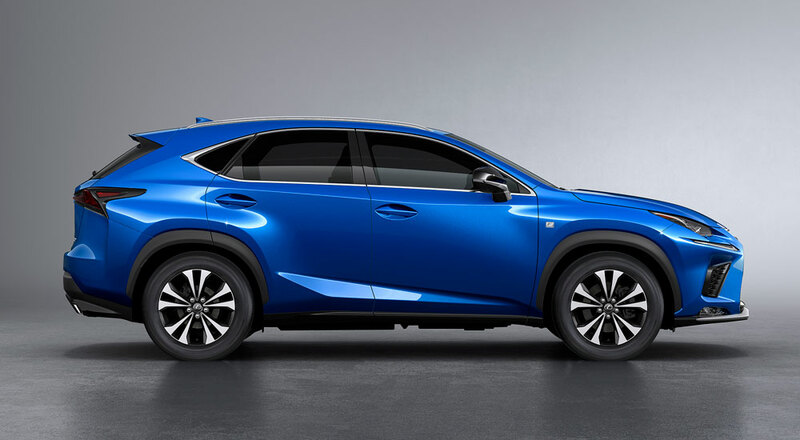 For the 2018 NX, the entire front fascia of the new NX has been refreshed, with the upper portion of the grille and the front bumpers redesigned to more fluidly blend into the hood and front doors, resulting in a sleeker overall shape and excellent aerodynamics. 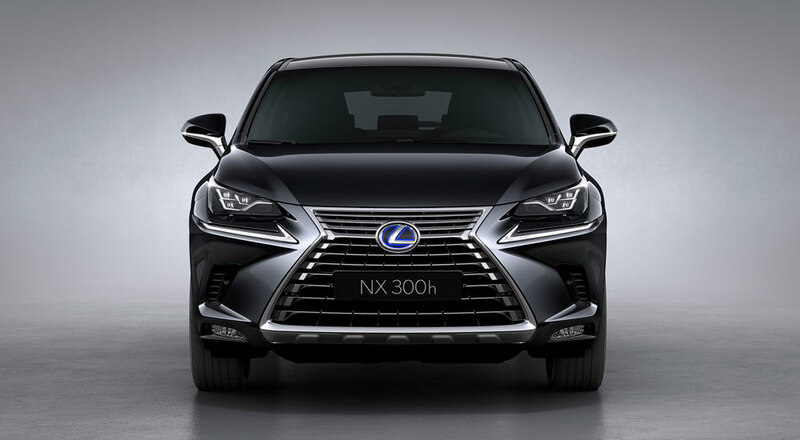 The new NX’s available headlamps with triple projectors are similar to those equipped on the LC luxury coupe and impart the car with a sportier look. Also of note, satin and smoked chrome trim pieces have been applied to the grille treatment in addition to new vertical elements added to the grille’s inner portion. The 2018 NX rear end has also been refreshed. The lower rear bumper cover now involves elements of the grille’s spindle motif, and has been broadened to enhance the vehicle’s wide stance and low-center-of-gravity look. 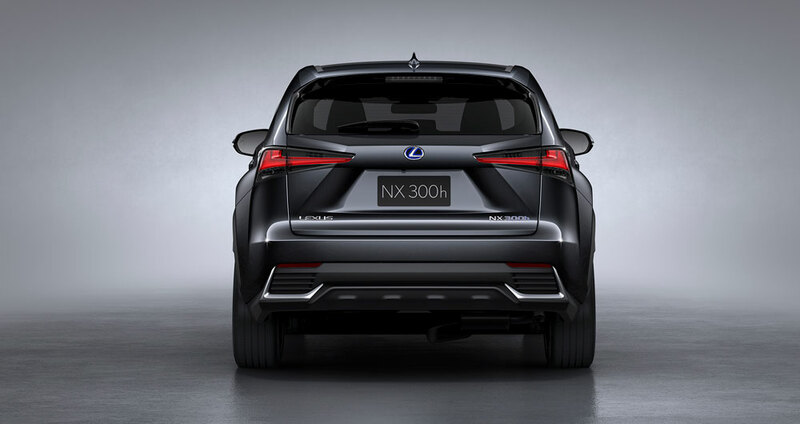 In addition, the NX’s revised taillights have been elongated, and the black garnish has been revised to better emphasize the “L”-shaped lenses. Also, the new NX features larger chrome-tipped exhaust tips that are integrated into the vehicle’s revised bumper cover design and new rear underbody spoiler. For the NX Hybrid, a slotted sectional piece with an L-shaped satin chrome border blends flawlessly into the underbody spoiler. For the wheels, a new aluminum 18-inch wheel has been added to the mix, and the other available options are equally eye-catching, combining a bright machined-finish with dark metallic paint to express a three-dimensional design with an increased sense of depth. 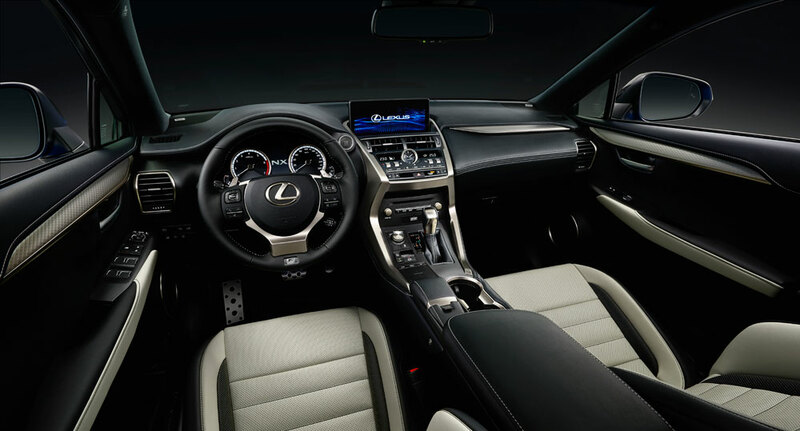 The interior of the new NX has also been slightly reworked to exude a sportier nature, a more luxurious feel, and with enhanced control interfaces. Immediately noticeable is the larger available display on the center dashboard, which has grown from seven inches to 10.3 inches. Also, the design of the HVAC control panel has been dramatically simplified by replacing the small section of buttons with four easy-to-operate toggle switches adorned with a tiny “L” on their surface. The analog clock features a cleaner, simpler design than before with an outer ring that’s more pronounced. It has also been slightly enlarged for better readability and now includes satellite control, which automatically adjusts the time in different time zones. 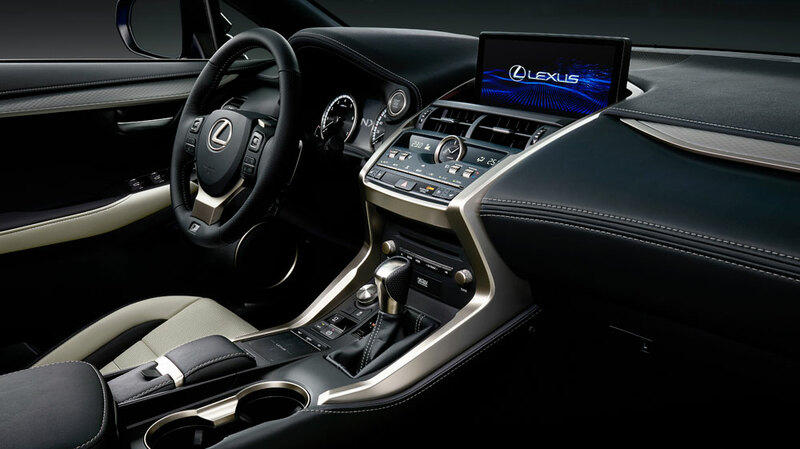 Nearly all the controls and switches inside the new NX, including the drive mode selector, shift knob and door handles, now have a metallic satin finish, enhancing the premium look and feel of the cabin. The 2018 NX adds the convenience of a foot-operated rear hatch; Placing or kicking up a foot toward a sensor beneath the rear-bumper cover will open or close the electrically actuated rear door. 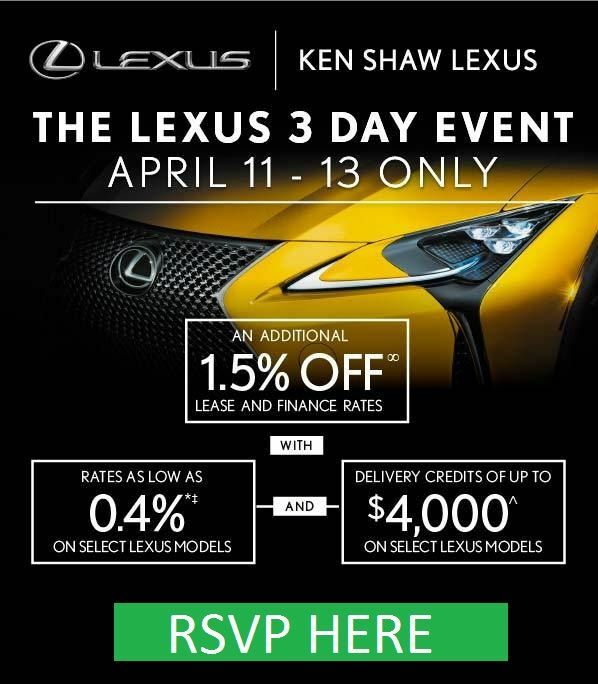 Lexus has become known for its high level of artful craftsmanship through its TAKUMI masters. For all 2018 NXs, their skill and attention to detail is showcased in the revised needlework on the vehicle’s leather surfaces, which are stitched perfectly straight. This intricate pattern can only be executed with the help of hand-operated machinery equipped with special needles that are resistant to overheating and thread breakage. “Even if it can’t be immediately seen, an acute attention to detail, such as the way the stitching of materials create a subtle pattern, can be felt spiritually to make a difference to the customer. That is the essence of the TAKUMI way that elevates the entire construction of a Lexus,” said Takeaki Kato, the Chief Engineer of the NX. 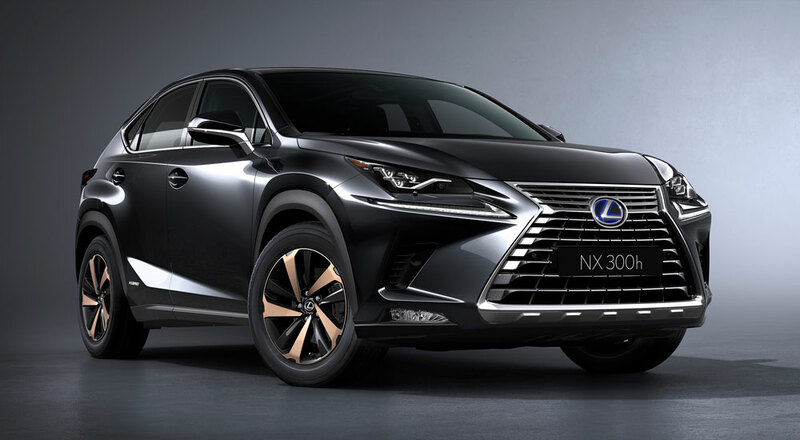 Powering the NX 300—formerly called the NX 200t—will be Lexus’ powerful and fuel-efficient turbocharged 2.0-liter inline-4, while the NX 300h’s hybrid drivetrain will continue with a 2.5-liter inline- 4 combined with a pair of electric motors, offering customers class-leading power and fuel economy. 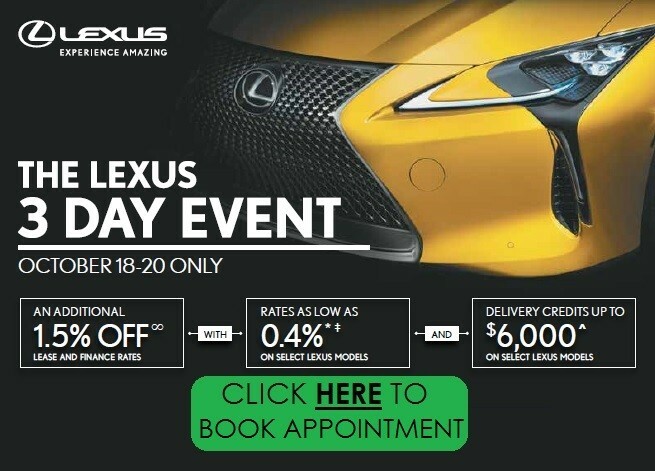 Both drivetrains offer customers a richer, sportier engine sound and exhaust note that is reproduced through the speakers by Lexus’ Active Sound Control (ASC). While the NX’s straight-line performance will essentially remain the same, significant improvements have been made to the vehicle’s suspension tuning to enhance ride and handling. The springs, stabilizer bars and bushings have been retuned for improved turn-in response and steady-state cornering. Also, new shock absorbers improve the quality of the NX’s already smooth ride. But the biggest new change to the NX’s chassis is the Adaptive Variable Suspension (AVS), now based on the advanced system found in the LC 500, which offers a range of up to 650 instantaneous compression and damping adjustments (up from 30) for enhanced control and overall handling stability. 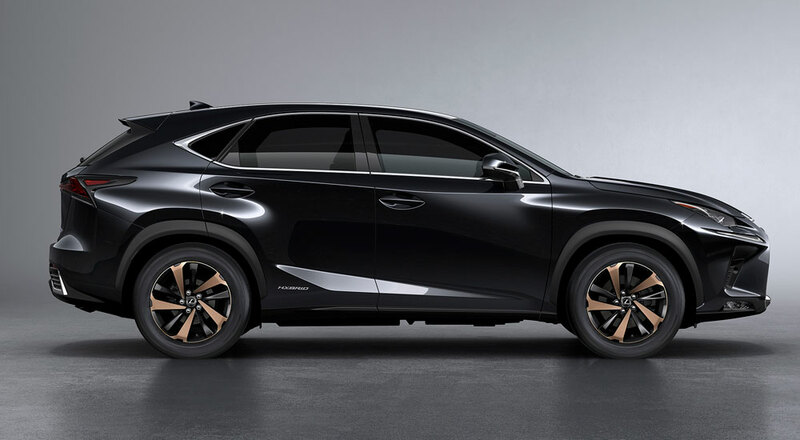 The new NX will include the brand’s innovative Lexus Safety System + as standard, which integrates active safety technologies, such as the Pre-Collision System (PCS), Dynamic Radar Cruise Control System, Lane Departure Alert (LDA) and Automatic High Beam (AHB). 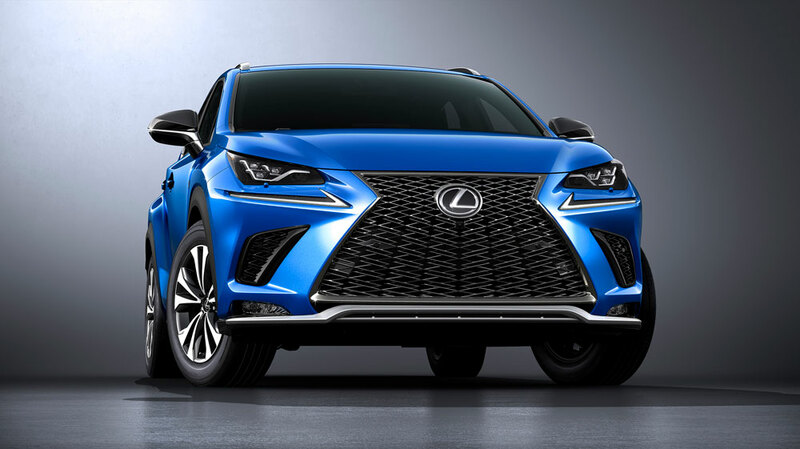 The performance-minded NX F SPORT will continue to be distinguished by its pronounced mesh grille with jet-black plating and exclusive wheels that feature a bright machined finish with black solid paint. Inside, it will feature Metallic Sport interior trim ornamentation, another example of TAKUMI craftsmanship.